MUMBAI: ICICI Bank board on Friday approved sale of 9% stake in ICICI Lombard General Insurance to its Canadian partner Faifax Financial Holdings (promoter of Lombard) for Rs 1550 valuing the company at Rs 17,225 crore. 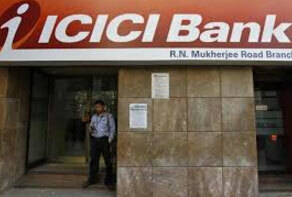 Following the stake sale, the shareholding of ICICI Bank and Fairfax will be approximately 64% and 35% respectively. ICICI Lombard is the largest private non-life company in India and the transaction is likely to serve as a benchmark for other valuations. The gross written premium of ICICI Lombard rose 22% from Rs 1,638 crore in Q2-2015 to Rs 1,999 crore in Q2-2016. The company reported a net profit of Rs 143 crore in the second quarter compared to Rs 158 crore in the corresponding quarter last year and Rs 116 crore in the preceding quarter. The transaction is at a very good value and reflects the leadership position, strong franchise and growth potential said Chanda Kochhar, MD and CEO, ICICI Bank. “We are expecting that the transaction will get completed in the fourth quarter because now we will start the proess of obtaining approval from the Insurance Regulatory and Development Authority of India (IRDAI) and Foreign Investment Promotion Board,” said Kochhar. According to Kochhar, unlike other insurance JV agreement there was no pre-agreed deal to allow Fairfax holdings to hike stake. “Our JV was for 74-26 only. The fact that they are increasing their stake by 9% show that they are seeing potential in the market,” she said. Following conditions in the new legislation that insurance joint ventures should be Indian managed and have majority representations of the Indian partner on the board many insurance promoters have been reworking their joint ventures. Although most agreements gave the foreign partner right to hike shareholding up to 49% many partners are not as keen now as they will have reduced clout.